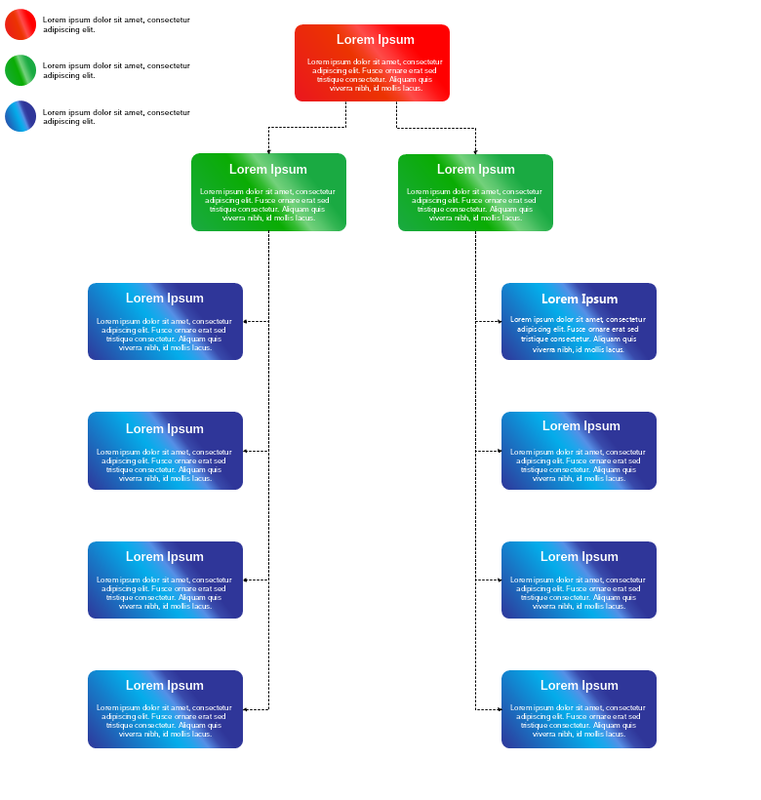 Organizational charts are often used to create family trees. To get started with yours you can download this free family tree template and start editing it right away with Nevron Draw. This template has been designed to let you add the names of the people as well as some information about them. To continue the family tree, simply copy - paste one of the shapes (it is a combination of several smaller shapes) and arrange it as per your needs. To edit the text double click on it and start typing.